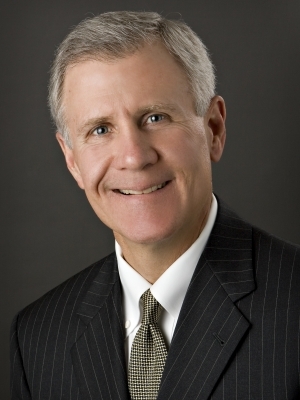 John J. Riffle is Chairman of the Firm's Corporate Department. His practice is focused on corporate law, mergers and acquisitions, health care law, and franchise and distribution law. John has more than 35 years of experience representing a wide range of taxable and tax-exempt organizations, closely held businesses and their owners, and publicly traded companies in acquisitions and divestitures, joint ventures, financings, corporate planning, and general corporate matters. He has successfully represented clients in transactions of all sizes, ranging from a few million dollars to more than a billion dollars. John is AV® Preeminent™ Peer Review Rated by Martindale-Hubbell, was selected by his peers for inclusion in The Best Lawyers in America® 2007-2019, was named the Best Lawyers' 2012 St. Louis Health Care Law Lawyer of the Year, and was selected for inclusion in Missouri & Kansas Super Lawyers® 2007-2008 and 2012-2013. He is also a member of the Firm's Management Committee.